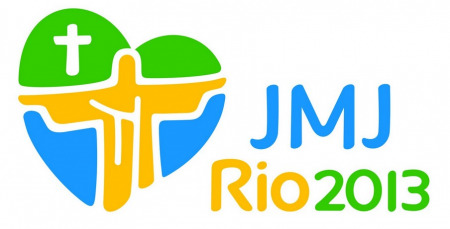 On the eve of setting off for Peru, Iguazu and World Youth Day in Rio with 250 young pilgrims from the Diocese of Parramatta, Sr Louise McKeogh reflects on freedom, courage, overcoming poverty and change. I often like to spend time browsing through book shops. They are one of my favourite places; I especially like to spend time browsing through the autobiographies. While catching a quick moment to browse a book store recently, I picked up a copy of The Long Walk Home – the story of Nelson Mandela. Despite its price and length, I was tempted to buy it. When visiting friends of mine from South Africa many years ago, I noticed in pride of place on the sideboard was a photo of, Franzie, the father of the family, standing proudly beside Nelson Mandela. The photo is not a formal one; it is as if two friends are standing side by side. Their eyes looking at each other, present to each other as long-time friends. I wondered what it must have meant for him to meet Nelson Mandela; I have always wanted to know more about this meeting. ‘As I walked out the door that would lead to my freedom, I knew that if I didn’t leave my bitterness and hatred behind I’d still be in prison. ‘I learned that courage was not the absence of fear, but the triumph over it. The brave person is not the one who does not feel afraid, but the one who conquers that fear. ‘Overcoming poverty is not a task of charity; it is an act of justice. Like slavery and Apartheid, poverty is not natural. It is made by humans and can be overcome by and eradicated by the actions of human beings. Sometimes it falls to a generation to be great. You can be that great generation. Freedom, courage, overcoming poverty and change are challenges that we can take from the amazing life of Nelson Mandela. On the eve of setting off for Peru, Iguazu and World Youth Day in Rio with 250 young pilgrims from the Diocese of Parramatta, we take these thoughts with us. We will be meeting people in the favelas, people of courage, who have been empowered by Caritas, and supported by the Diocese to renew their housing and to make choices for a better future. Their courage and their faith will be an inspiration to us. Needless to say, the courage of our young people and the organising group to tackle such a project and logistics is beyond doubt. Overcoming poverty is an act of Justice, this is something our young people will be engaged in and learn much about. Meeting with Caritas colleagues I have heard of an amazing group of young people known as The Movement for the Defence of the Favelas, an organisation of Young people from Sao Paulo. They work in the area of community development to overcome poverty, addressing the people’s needs of water, sanitation, children and community centres and education. We have much to learn. Finally, change – pilgrimage is always about transformation. As Nelson Mandela took his first step on the long road to freedom, a step that was taken many years before eventually leaving prison, he knew that he was opening his life to continuous change and transformation to the ways of peace and reconciliation, the ways of the Gospel. As we set out on the first steps of our pilgrimage and board the flights that will take us to the first destination on our journey, we know that we are opening ourselves to change, to the ways of peace and reconciliation through the relationships, people and experiences that will be ours on our journey. Like the photo of Franzie and Mr Mandela that has pride of place, the people and events that we will experience on our pilgrimage will have a lifelong impact upon our journey. Sr Louise McKeogh fma is the Caritas / Social Justice Coordinator for Parramatta Diocese.